We are so excited for part of our World Down Syndrome Day celebrations to be with the Windsor Express on Friday, March 22 at 7 pm! Tickets are $15.00 each. We are accepting payment by e-transfer. Send payment to info@upaboutdown.org. For your convenience, you can pick up your prepaid tickets at Gate 2 at the WFCU between 6-6:50 pm prior to the game starting. 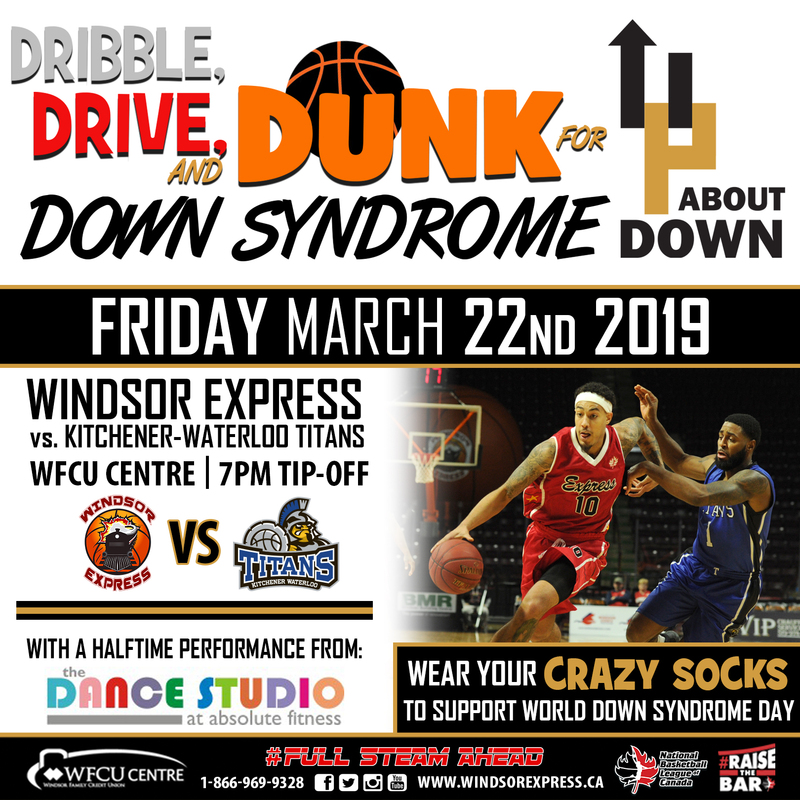 Windsor’s basketball team, the Windsor Express, is helping us celebrate on Friday, March 22nd during their home game at the WFCU Centre. The players will rock their crazy socks, our children will be invited to sing the national anthem and perform at half time and most importantly a portion of ticket sales will be donated back to our group! More details can be found in the attached poster. Stay tuned for more World Down Syndrome Day events! See our Events Calendar at www.upaboutdown.org and our Facebook.